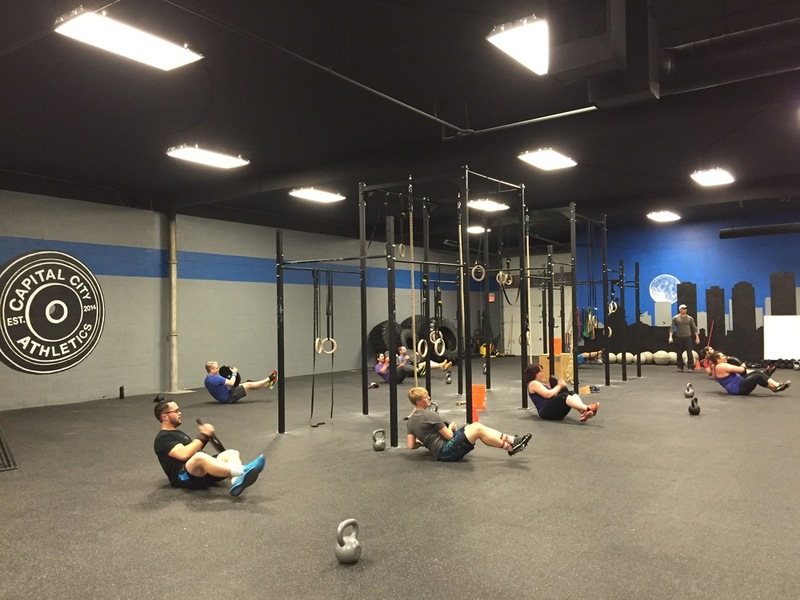 Want a glimpse into our Edmonton CrossFit CCA facility? Well you've found the right place! Our large gym is always kept clean, organized and full of happy people. 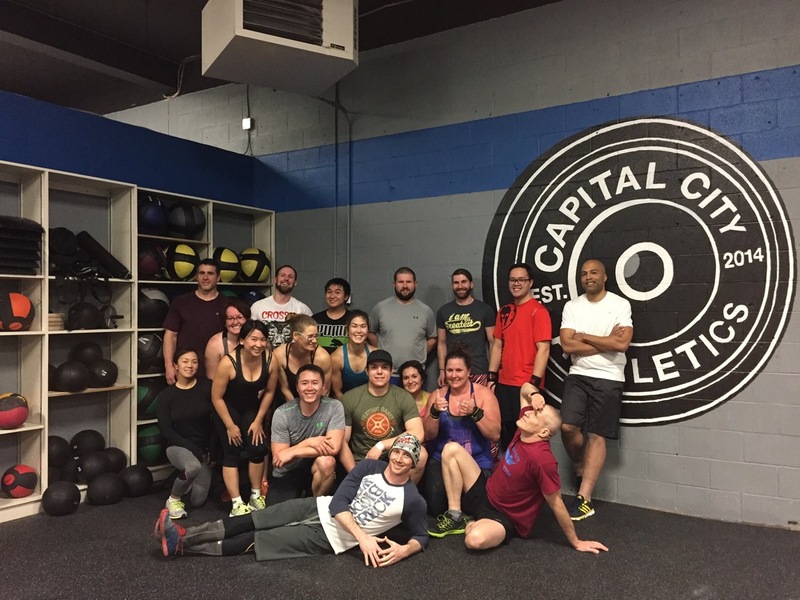 At Capital City Athletics, we're not just a gym, rather we're a community of like-minded enthusiasts. But, don't let that scare you off if you're new to our gym. There are no cliques, or groups of shirtless guys running around. Promise. Come join us! See our current promotions and get in on the fun. Visit Facebook For Many More Pictures! Our Facebook page is updated much more often with awesome pictures and videos of our members and events. Visit us on Facebook! All over the last few months, but we picked some of our favourites. Looking sharp everyone. Don't mind the sweat, this is post-workout of course! A big turnout of CCA athletes at Bridge City Beatdown in Saskatoon. Big workout, big burgers. 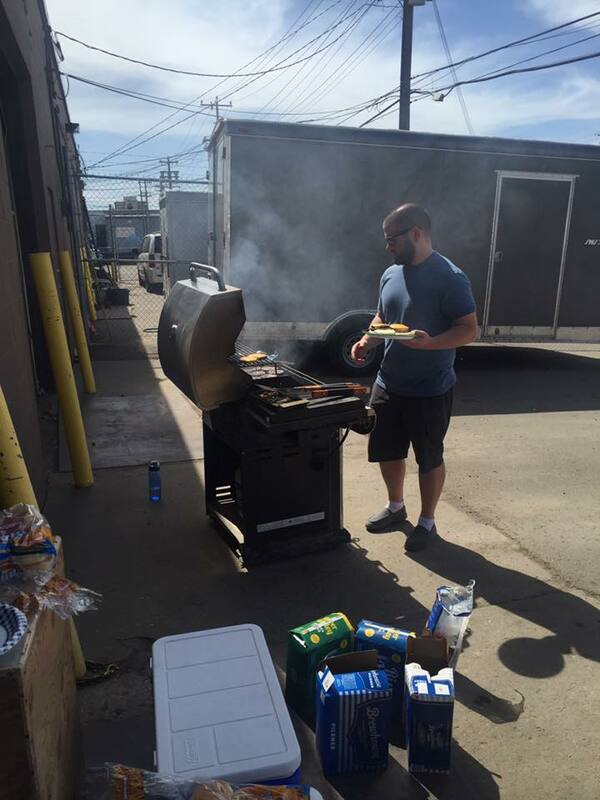 We had tons of fun at our BBQ Wod. Mixing the two Ws once in a while never hurts. Plus, what a great time to get to know your gym go'ers outside of class. 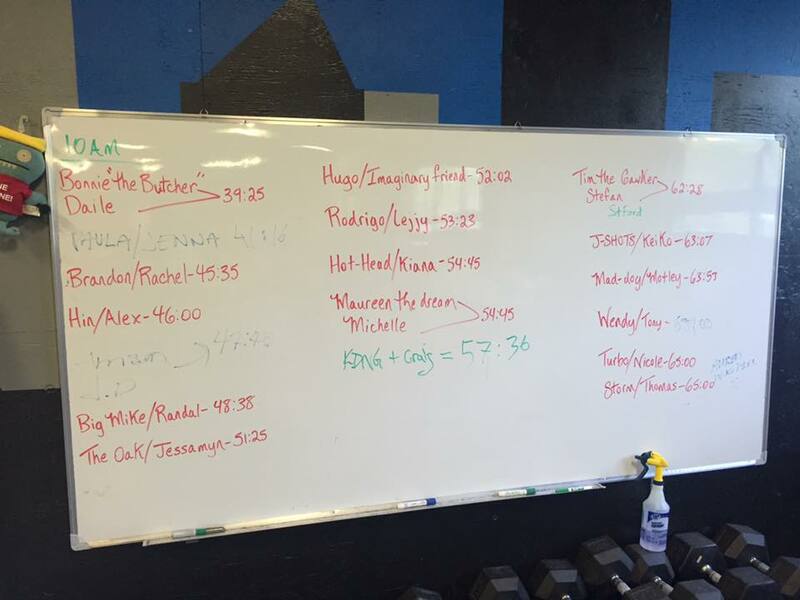 We had a great time hosting our gym's first Festivus Games. 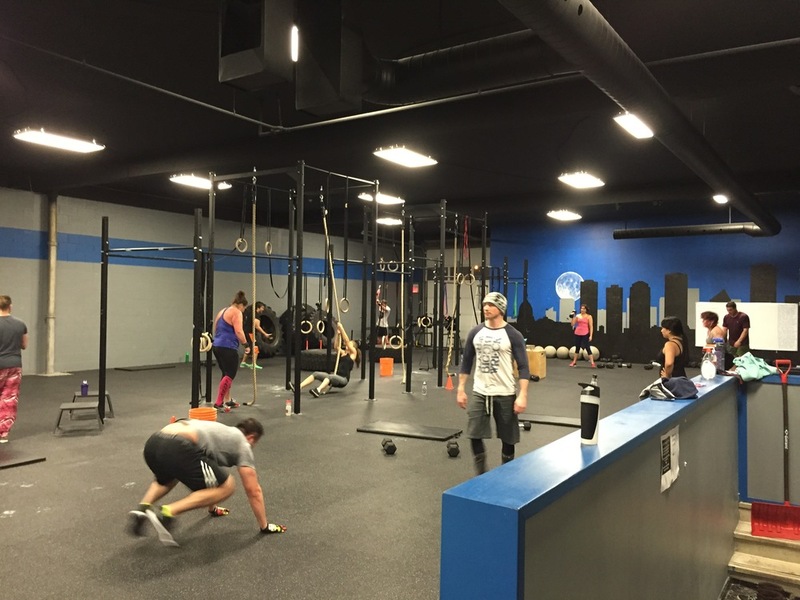 CrossFit Gyms all over Edmonton joined in on the fun. The first Festivus competition was held on April 30th, 2011. The concept was simple yet long overdue. Since novice and intermediates make up 95% of athletes it made sense to have a competition designed only for them. Since the first competition with about 70 athletes Festivus Games has grown to over 8,000 Athletes at our last event – April 18th, 2015! When you compete in the Festivus Games you can expect to be challenged but you can also expect to have a lot of fun! With our Novice class Festivus Games really is the perfect venue for your first functional-fitness competition. Our Intermediate class will provide enough challenge for all but the best of the best athletes so Festivus Games can be your competition of choice for years! And all new is the Masters 45+ division which we’re excited to offer. On October 17th, 2015 Novice, Intermediate and Masters athletes from across the country and various parts of the world will compete, all on the same day, in this one-day event. Each host will award the top three finishers in each division for both male and female classes. You can count on a feat of strength for sure! Any other day turned into one great day. Every day you workout and get your heart beating and your breath racing is a great day. You too can reverse the effects of age and a sedentary lifestyle with CrossFit.